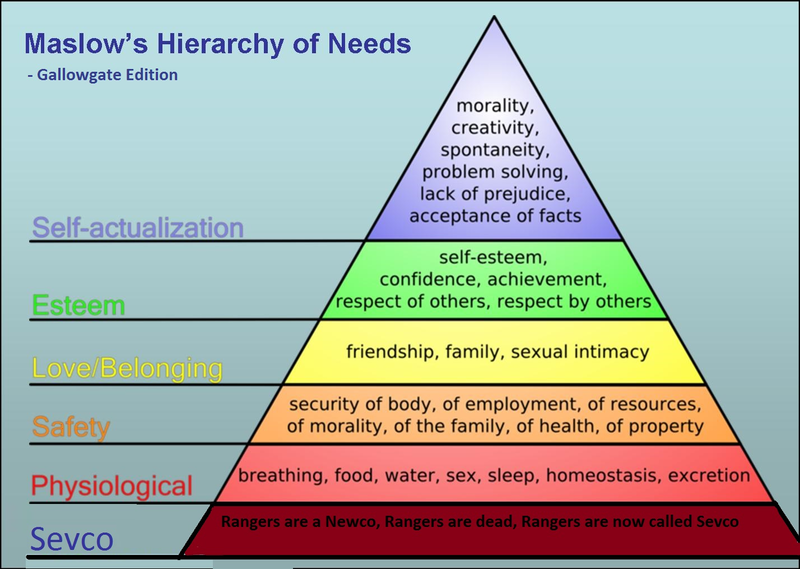 Our own Andy McGowan has been working tirelessly on an update to Abraham Maslow's famed 1943 paper "A Theory of Human Motivation" based around the particular social climate of Scottish football. His revised proposal, "A Theory of Tim Motivation," has been submitted to multiple psychological organizations and journals for peer review. We're happy to provide a sneak peak at the proposed amended Hierarchy of needs pyramid that accompanied Maslow's work. Hopefully the CRO will be creeping into psych text books the world round based on this groundbreaking research.